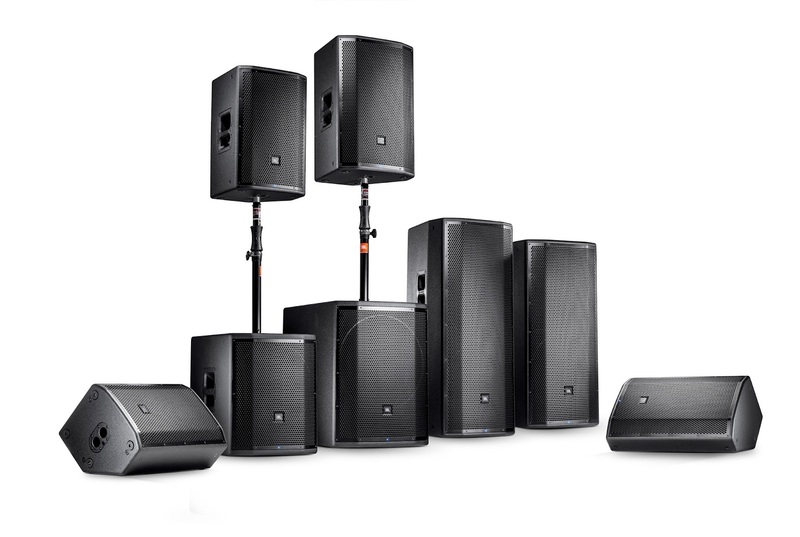 JBL Professional by HARMAN today introduced the PRX800W high-powered portable PA system. Created by the industry leaders in loudspeaker technology, PRX800W features wireless control and sophisticated DSP, so live sound professionals and musicians can quickly set up and configure a system right from a mobile tablet. PRX800W also features class-leading power and a remarkably lightweight design that makes transportation easy. Thoughtfully designed from the ground up to deliver legendary JBL sound for demanding artists, PRX800W represents the next generation in controllable and portable live sound reinforcement. PRX800W is the first PA system in its class to offer complete wireless control. The PRX Connect mobile app for iOS and Android connects wirelessly to each unit in the system simultaneously, providing full control over the powerful DSP built in to each speaker. With control over 8-band parametric EQ, speaker delay, mute, gain and more, PRX Connect helps musicians achieve the perfect sound for their performances, faster than ever before. Users can walk around the venue during sound check and fine-tune the speakers for optimal sound quality. PRX Connect also makes it easy to configure shows offline and save presets for fast future setup. Featuring integrated 1500-watt Class-D power amplification, PRX800W is the most powerful and efficient system in its class. Patented JBL Differential Drive™ woofer technology reduces magnet mass while increasing power handling. Updated tuning delivers flat frequency response and smooth off-axis behaviour. The all-wood cabinets feature durable tongue-in-groove joints, tour-proven DuraFlex® protective finish and dent-resistant 16-gauge steel grilles. PRX800W systems undergo a stringent testing regimen, including a 100-hour torture test, to ensure peak performance in any real-world environment. The combined result is an ultra-reliable and remarkably lightweight system capable of delivering clear, pristine audio at extraordinarily high volumes. PRX800W loudspeakers are packed with innovations from HARMAN’s industry-leading live sound brands, introducing a new level of flexibility, scalability and sound quality to the portable PA category. The redesigned Crown input panel offers XLR, 1/4” and RCA inputs plus XLR loop-through and professional outputs to provide plenty of options for input sources and routing. dbx Type IV™ limiting eases the system back to a safe level when any frequency band is in limit, ensuring that the sound is accurate and uncompressed, even at very high volumes over long periods of time. An intelligent variable-speed fan cools the system only as needed to ensure optimal sound quality during quiet performances. PRX800W systems can be easily scaled by adding additional speakers, and they offer seamless integration with other JBL powered PA systems. The JBL PRX800W series is expected to be available from October 2016. The PRX Connect app will be available via the Apple App Store and Google Play Store this month. For more information on the JBL PRX800W Series please click here. JBL Professional products are distributed in the UK by Sound Technology Ltd. For more information please call 01462 480000 or visit www.soundtech.co.uk/jbl. The JBL PRX812W is a full-range speaker designed for main system and floor monitor applications. Featuring a 12”, two-way, bass-reflex design powered by a 1500-watt class-D amplifier, PRX812W delivers incredible volume in a lightweight and compact form factor. The JBL PRX815W is a full-range speaker designed for main system and floor monitor applications. Featuring a 15”, two-way, bass-reflex design powered by a 1500-watt class-D amplifier, PRX815W delivers incredible volume in a lightweight and compact form factor. The JBL PRX815XLFW is a self-powered extended low-frequency subwoofer system. Featuring a JBL 15-inch woofer powered by a 1500-watt class-D amplifier, PRX815XLFW delivers incredible output in a lightweight and compact form factor. The JBL PRX825W is a full-range speaker designed for main system applications. Featuring a dual 15”, two-way, bass-reflex design powered by a 1500-watt class-D amplifier, PRX825W delivers incredible volume in a lightweight and compact form factor. The JBL PRX835W is a full-range speaker designed for main system applications. Featuring a 15” woofer, 6.5” midrange transducer, and 1.5” compression driver powered by a 1500-watt class-D amplifier, PRX835W delivers incredible volume in a lightweight and compact form factor.